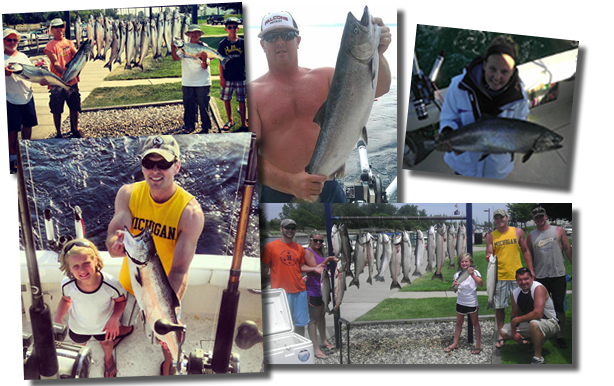 Fish Guaranteed or Your Next Charter Is Free! "Black Label" is one of the finest and Largest charter boats on Lake Michigan. 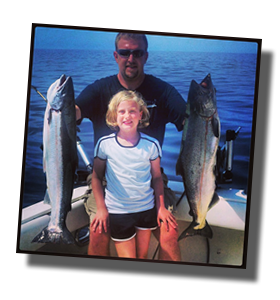 Captain Kirk fishes Lake Michigan all summer long traveling from St Joseph, to Saugatuck and to Grand Haven Michigan targeting King Salmon, Coho Salmon, Steelhead, Brown Trout and Lake Trout. Captain Kirks mobility gives his charter anglers the best chance at a trophy fish! So get on it - BOOK YOUR CHARTER NOW! Fisherman's lunch avalable at your request extra 20.00/ person. Scenic Tours are $275.00 for the first 2 hours then 75.00/ hr thereafter. Captain Kirk suggests a 6hr or a 8hr trip so your group has an enjoyable outing. A $200.00 Deposit is required to reserve your date.